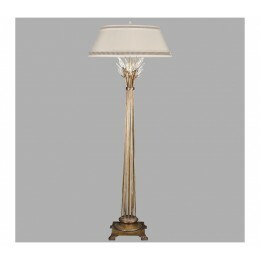 Floor lamp in gold leaf with stylized faceted crystal leaves. Also available in warm antiqued silver leaf finish, item# 758820. 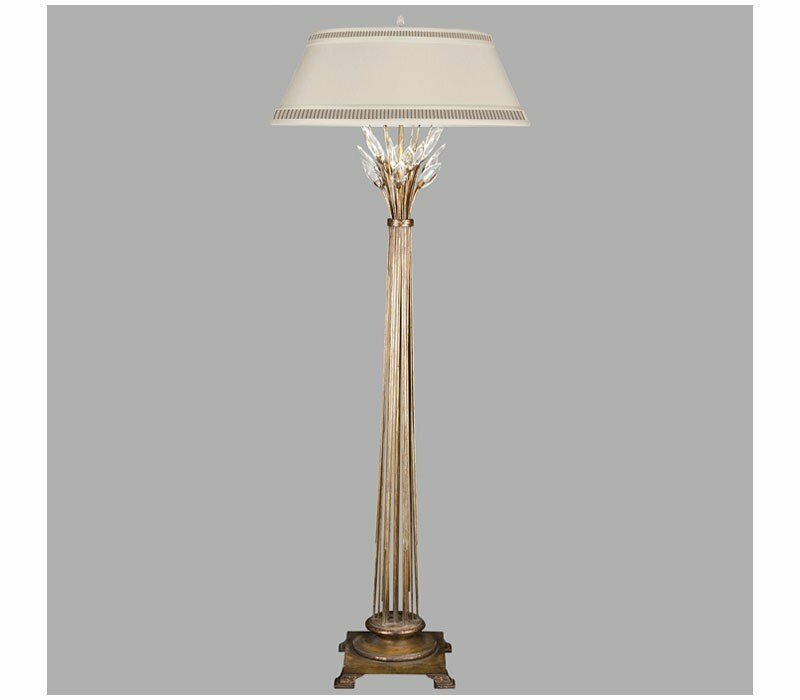 The Fine Art Lamps 772520 Crystal Laurel collection Floor Lamps in Gold Leaf use Incandescent light output and bring Antique style. This item is 69"H x 4.5"W. The total wattage is 150 and the voltage is 120 volts. 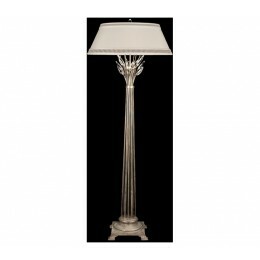 The Fine Art Lamps 772520 requires 1 bulb (not included). Additional Information: Shade-Faceted Crystal Leaves; Control-In-Line Foot Dimmer.